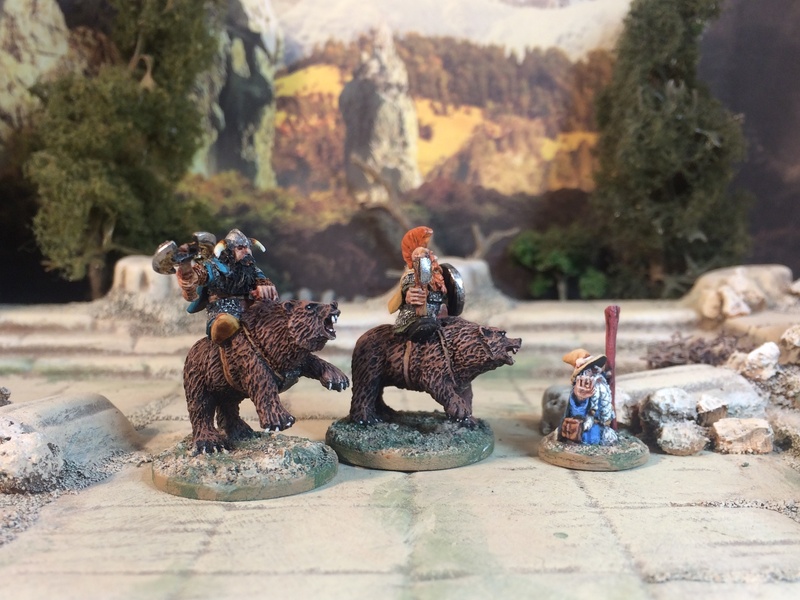 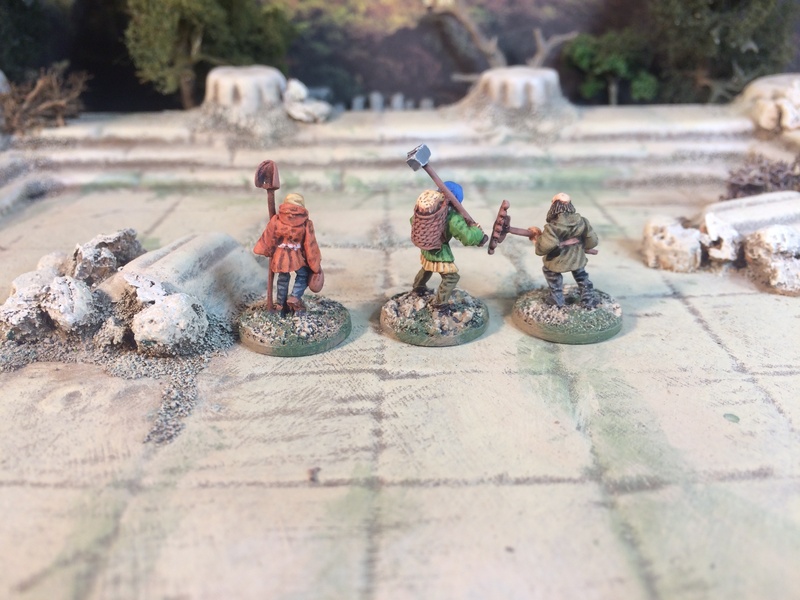 A very fine 15mm fantasy manufacturer that has not made an appearance on this blog as yet is Battle Valor Games. 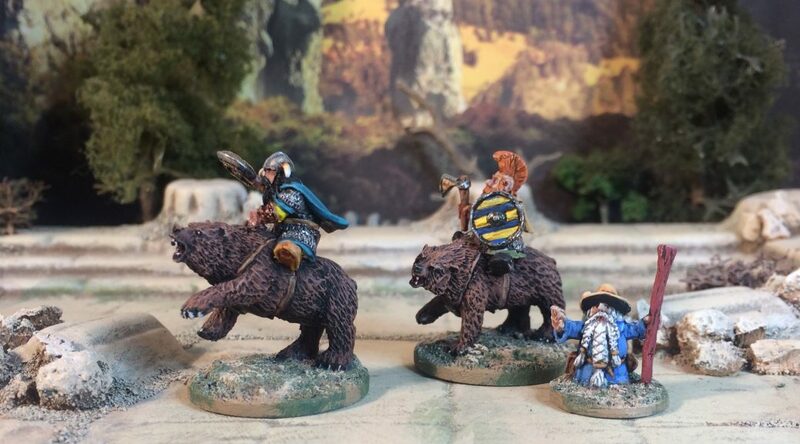 This is no reflection on Battle Valor’s offerings themselves but on my tardiness to get around to painting up some of the miniatures I ordered from them quite some time ago (that was long before they got a UK distributor Dragon Frog Games which will help with excessive import duties and fees!). 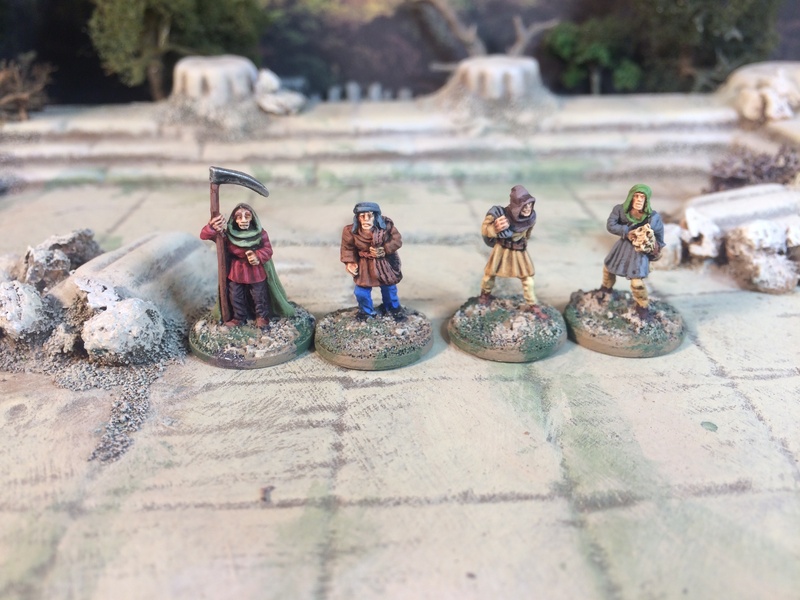 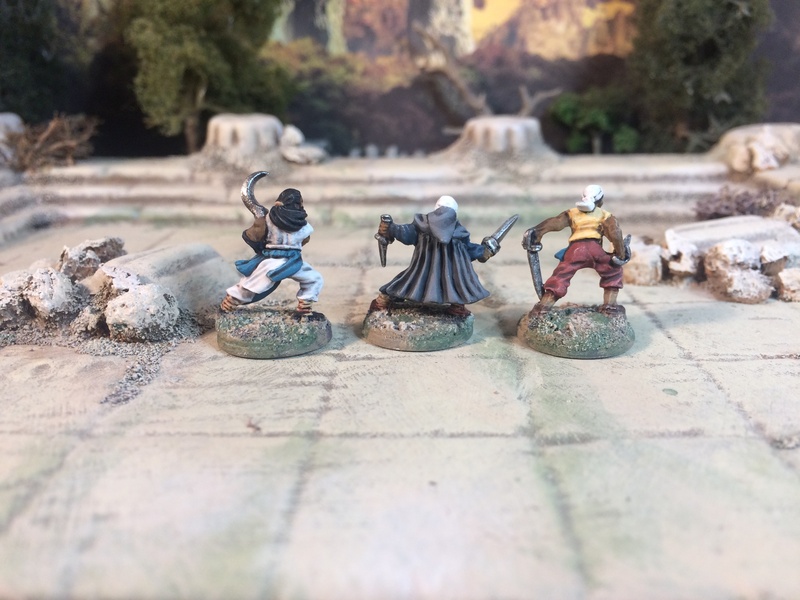 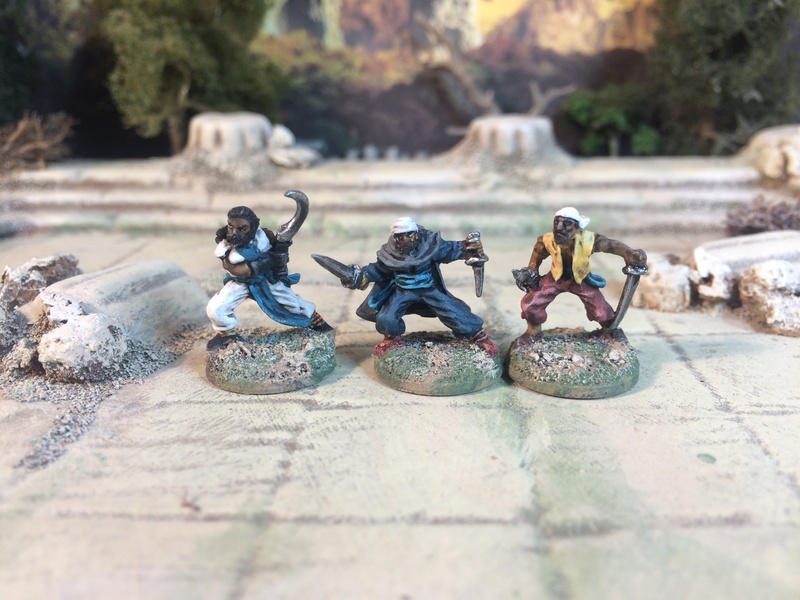 I hasten to add, gaming buddy Sam set up his own online shop specialising in ’15mm for the skirmish-orientated’ which has pulled together some great offerings from across the 15mm market under one roof – including Battle Valor Games miniatures. 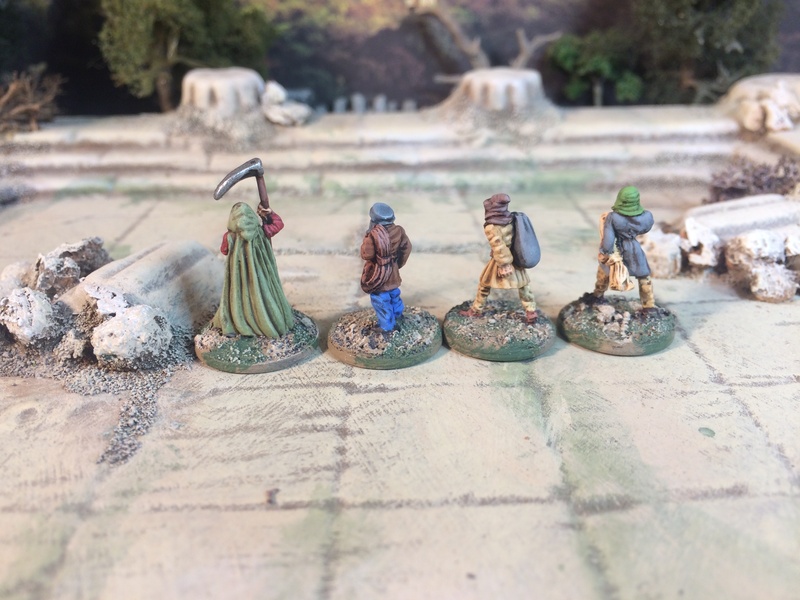 Check his shop here – 15mm Skirmish Supplies. 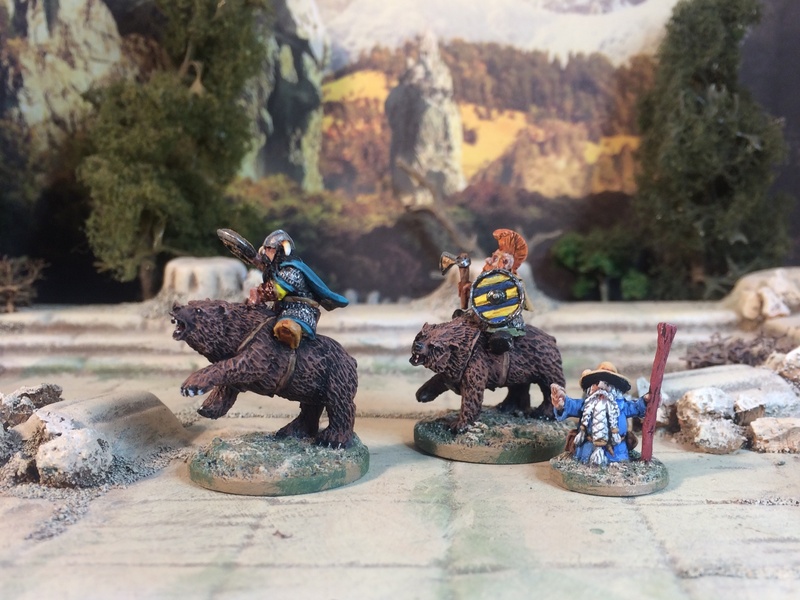 As an enterprise BV is a relative new comer to the market but they (when I say they, I mean Ed) have made quite a prolific splash already. 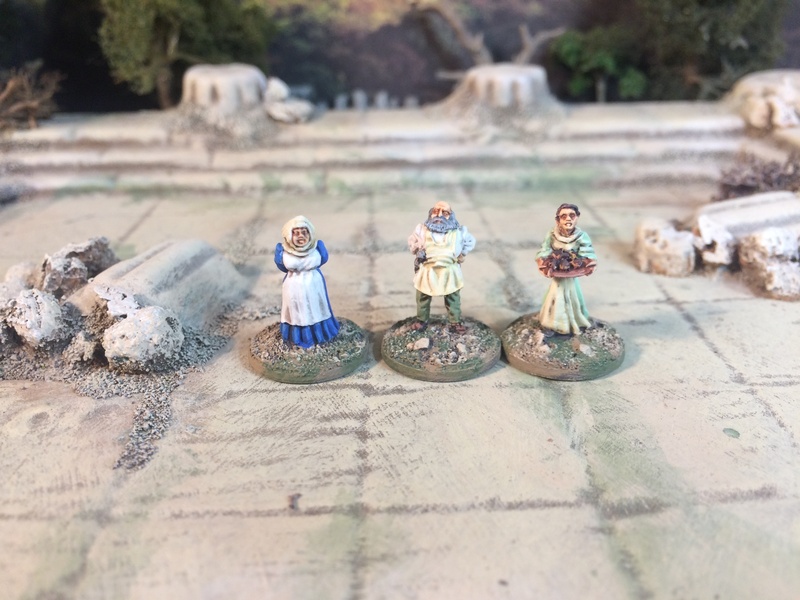 Amongst the several ‘units’ that I acquired were also a few ‘Personality’ packs which offer quite an interesting and varied mix of character types very suitable for the ‘skirmish-orientated’. 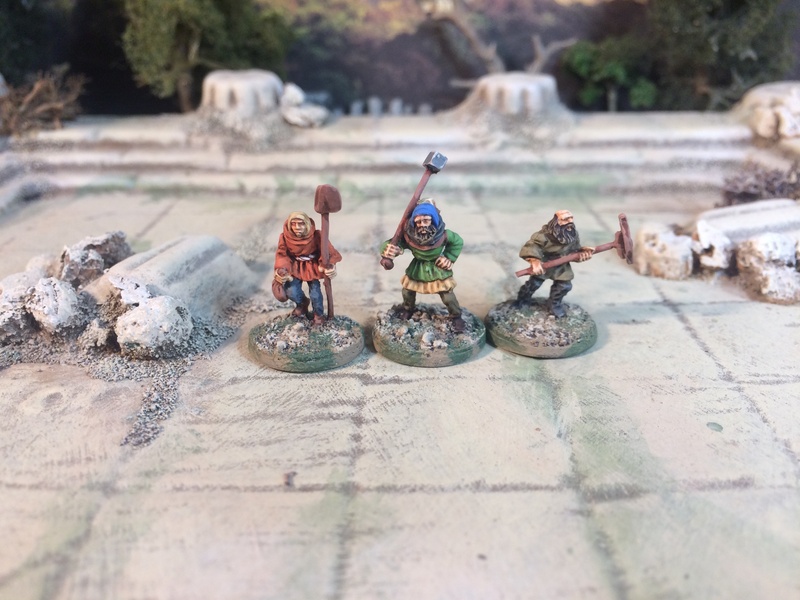 The three fellows below are from the Orcian Personality Pack (mini on the left – I am sure there is a logical reason for his inclusion alongside the expected orc warriors and shamans) and the Frigian Personality Pack (centre and right minis). 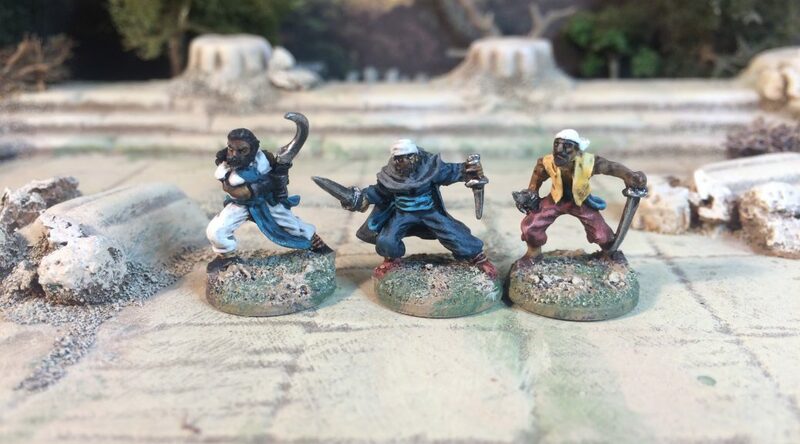 Together they make a fine themed trio of brigand/pirate/thief types. 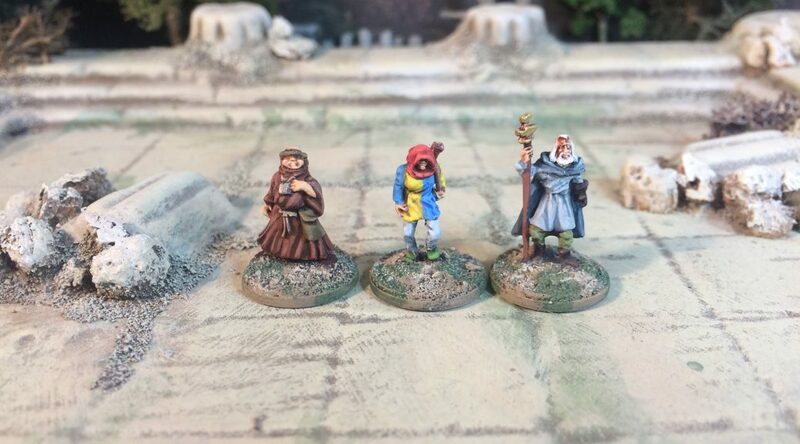 More posts on more completed Battle Valor Games miniatures in the near future.